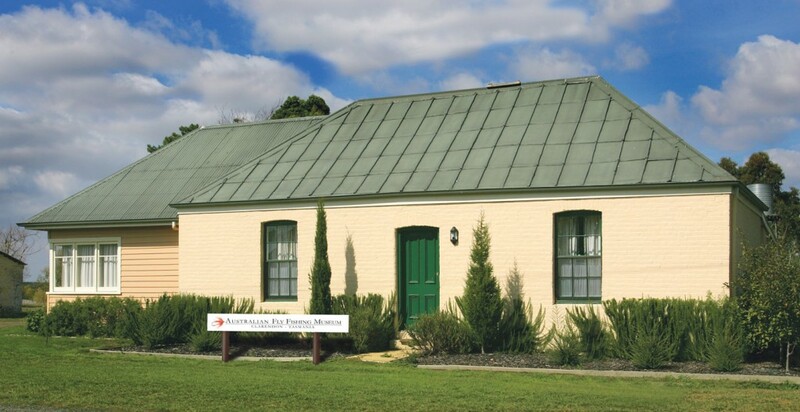 The Australian Fly Fishing Museum has been established at Clarendon to preserve, protect and celebrate the art, the craft and the joy of fly fishing. This contemplative and highly accomplished pursuit takes anglers into some of the nation’s most beautiful and secluded streams and lakes. The Australian coastline also provides endless possibilities for saltwater fly fishing. Fishing with an artificial fly was described and practised as early as 1827 in New South Wales, and in 1846 on the Victoria River in northern Australia. One of the earliest references to saltwater fly fishing is for barramundi from Queensland in 1870. However, in many parts of southern Australia, anglers originally had to be content with much smaller, less challenging fish. The real foundation for the sport’s development was laid with the introduction of trout in 1864. For this reason, there could be no more relevant site for the Museum than here on the banks of the South Esk River. In 1854 James Arndell Youl of nearby Symmons Plains moved to London, after a successful life in Tasmania as a pastoralist. He married Eliza, the sister of James Cox of Clarendon. In London, Youl was instrumental in experimenting with the technology that led to the first successful introduction of trout into the Southern Hemisphere at Plenty, near New Norfolk in 1864. This exhibition looks at the history of fly fishing in New South Wales, Victoria and Tasmania in particular, and the flies, the tackle, the places and the stories of the anglers involved in the sport. The Australian Fly Fishing Museum opened 4 May 2013 with a grand opening dinner 3 May and a cocktail party and auction on 4 May. OPENING HOURS: Tuesday to Sunday, 10am – 4pm. If you would like to support the AFFM annual membership is $30 and this gives unlimited entry to the Museum and Clarendon site. All funds go to AFFM. Click here to join.